Have you ever heard of automobile gap coverage? 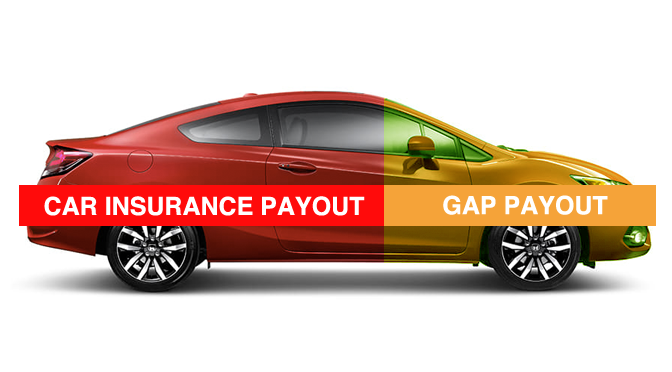 Gap coverage makes up the difference between what your car is worth and what you owe on the vehicle if it is totaled in a collision. Absolutely, if you “upside down” on a vehicle. What does this mean? You are “upside down” on a vehicle if you owe more than what your vehicle is worth. This does not just happen if you pay too much for a junker at one of those “Buy Here/Pay Here” used car lots. This can also happen if you are financing a nice vehicle with a modest down payment or if you purchase a new car. Let’s say you purchase a brand new car for $25,000 with 0% down. Your car will depreciate by as much as 10% as soon as you drive it off the lot. Everybody knows that, right? Let’s say a negligent driver t-bones you a couple months later, totaling your car. Assuming the negligent driver had collision coverage, his insurance must pay you the fair market value of the vehicle, which let’s assume is $22,500 (10% lower than the purchase price). It does not matter how much you owe on the car, or even how much you paid for the car, what matters is what the vehicle is worth today. Let’s say you still owe $24,500 on your car loan, having only made a couple of payments. Who makes up the $2,000 difference between what the vehicle is worth and what you owe? If you have gap coverage, the insurance company pays. IF YOU DO NOT HAVE GAP COVERAGE, THEN YOU STILL OWE $2,000 ON A CAR YOU CAN NO LONGER DRIVE! How does this happen with used cars? The vast majority of car loans are amortized. What this means is at the beginning of the loan term, most of the monthly payment goes toward interest (which really stinks and ticks me off, but that is how these loans work). As more time passes, a greater portion of the payments goes toward the principal owed on the loan. So unless you make a large down payment on the vehicle, your car’s value may depreciate in value faster than the rate at which you are paying down the principal, especially early on in the financing. I have seen too many clients over the years get into a financial mess in these situations. PROTECT YOURSELF! Don’t get caught holding the bag if you owe more than what your car is worth. Purchase gap insurance. If you have been hurt in a collision, call 859-559-9947 or message me for a free consult.